Edmonton black metal extremists Revenge have released a string of LPs over the past decade and a half, and now they're moving up in the world by signing to Season of Mist for their latest full-length. It's through this new label home that they will deliver their latest full-length, Behold.Total.Rejection on November 13. The band haven't yet unveiled the tracklist, cover image or any music from the album. That being said, they shared the above piece of artwork on Facebook. Song titles include "Desolation Insignia," "Hate Nomad," "Wolf Slave Protocol (Choose Your Side)," and "Scum Defection (Outsider Neutralized)." Behold.Total.Rejection is arguably the most fervent release in the band's catalog since its earliest material. 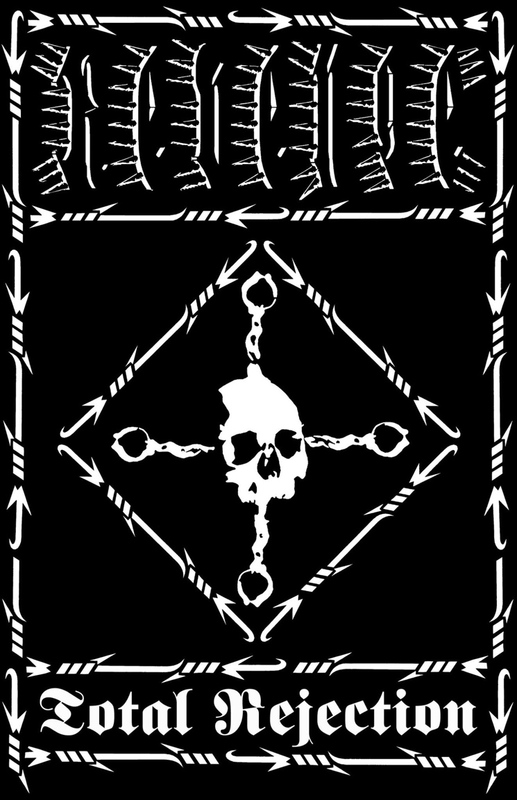 Those who have foolishly questioned if this unorthodox combination of band and record label would produce anything less than total confrontational, audial annihilation need only to listen to the extremity of Behold.Total.Rejection to recognize that Revenge has once again chosen to turn its back on all and forge ahead alone. Behold.Total.Rejection follows the titular format of Revenge's past releases. It's the follow-up to 2012's Scum.Collapse.Eradication. Stay tuned for more information about the LP to emerge in due course. Revenge "Wolf Slave Protocol (Choose Your Side)"